Whilst most of London was glued to their TV screens on Sunday night for the closing ceremony of the London 2012 Paralympic Games, I was attending a very different type of competition and one that can hardly be topped (on a Sunday evening, anyway). 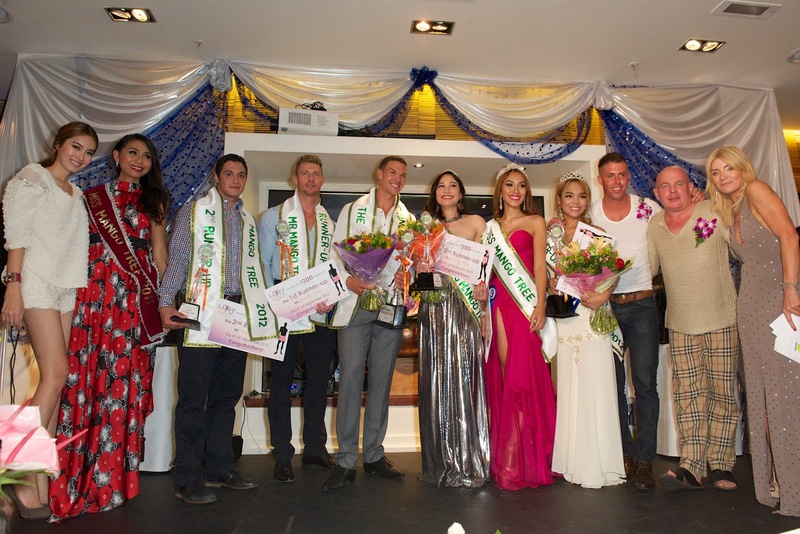 I was given the opportunity to bring out a whole host of “Wow!”, “No way!” and “For real?” comments of astonishment when I witnessed the Mr and Miss Mango Tree UK Ladyboy Competition 2012, as hosted by former Eastenders TV star, Michelle Collins. Handsome muscle men and stunning lady boys strutted their stuff at Mango Tree Thai restaurant in Victoria whilst acts such as Geri Love, Mrs Moore, Tanya Hyde and The Mango Tree Spice Girls performed during the costume change breaks. And boy, were there some costumes. 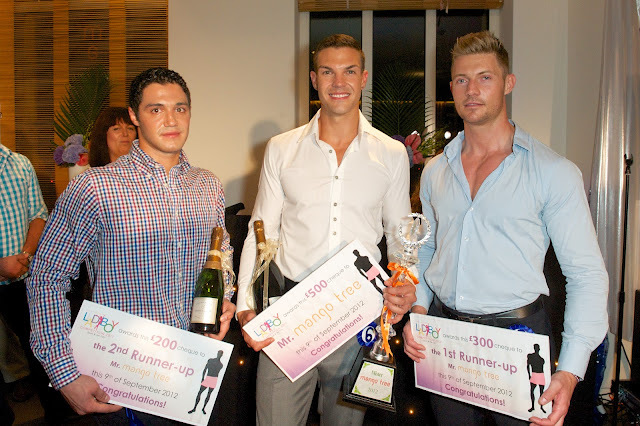 In the end, the chiselled features and defined body of Ashley Rogers won the Best Body and overall Mr Mango Tree titles, whilst the beautiful Reya X from Thailand was awarded both the Best Female Body and Miss Mango Tree prizes. Just to point out the obvious, because it might not be apparent from these photos, the Mr Mango competition was for men competing as men. The Miss Mango competition was for men competition as women. Some of the contestants were dramatically convincing. An endless supply of Thai canapés kept the packed crowd’s energy levels up, which gave everyone a taste of the menu on offer at Mango Tree Restaurant. To book you table at the restaurant, use the reservations calendar below.